World class service for those who come to us for surgery care. 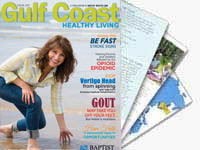 Baptist Health Care wants a healthy community. If you or a loved one is experiencing illness or disease that requires surgery, our goal is to help you get better and return you to a good quality of life. Now, instead of worrying about health problems or lengthy recoveries, you can get back to enjoying the life you love. Review our broad range of innovative surgical procedures.